Changes in the skin are the most visible signs of aging. 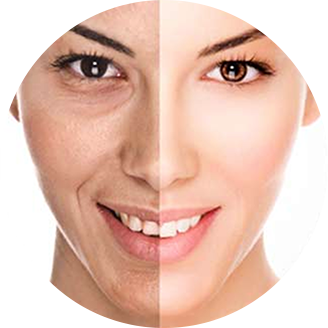 Fine lines and wrinkles are caused by sun exposure, free radicals (environmental factors such as smoking), nutrition, genetics and other factors. The greatest factor is the sun and can be evident by comparing the areas of the body that have had consistent sun exposure with the areas that have been protected from the sun. As the aging process occurs, the metabolic rate of cellular production slows down losing the ability to maintain healthy levels of moisture, collagen and elastin. This causes the skin to “fold” as well as sag. Lelexo continues to develop high performance skin care products to help minimize, soften, exfoliate and regenerate skin cells. With key ingredients such as glycolic acid, mandelic acid, peptides, apple stem cell, vitamin C & E; our paraben free products are designed to work on multi-levels to rejuvenate the skin. Acne is no longer a teenage disease. 2 out of 5 women will suffer from adult acne in the United States alone and the number is rising. 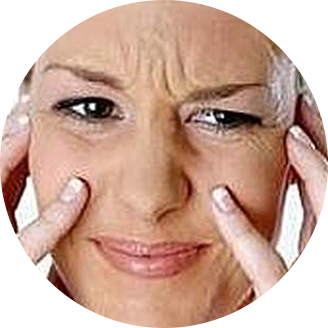 Factors like stress, oral contraceptives, hormone therapies and menopausal fluctuations will aggravate acne. Lelexo carries an array of skin care products specifically designed for the treatment of acne. With key ingredients such as vitamin A propionate, mandelic acid, salicylic acid and glycolic acid help to maximize and maintain clear acne. 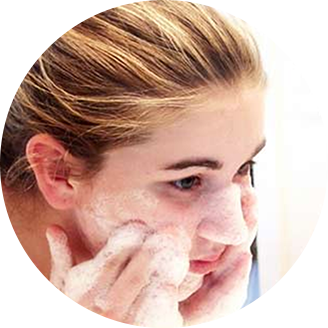 Teen Acne is an increasingly stressful and embarrassing skin condition. 8 out of 10 teens will suffer from this disease. Acne will affect many teenagers psychologically, emotionally, and physically. Genetics plays a large role with this disease and aggravating factors like hormones, stress, sugar, and cosmetics don’t help. What is acne? Acne is a disease of the skin that is caused by the genetic predisposition of mutated follicles. 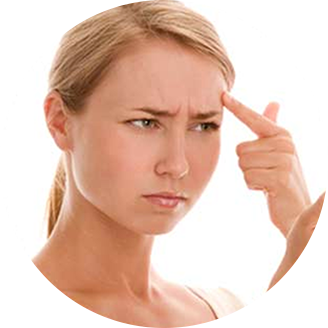 Hormones do not cause acne, however they are a triggering factor that sets off the acne gun. Lelexo products contain active ingredients such as benzoyl peroxide which has a dual mechanism that suppresses the acne bacteria while it exfoliates the pore (follicle). In addition, we have a special paraben formulation of vitamin A propionate that reverses retention hyperkeratosis (the process of how acne is formed), releasing acne impactions. Furthermore, discover the benefits of mandelic acid, salicylic acid and glycolic acid to clear acne-prone skin. Dehydrated skin is deficient of water, but can still produce oil. Visual signs of this skin condition include flaky, and a skin tightness. Fine lines can form easily due to the epidermal cells being “collapsed,” lacking the water that typically makes the surface smoother. Dehydrated skin is common among those who are oily and/or acne-prone because of their use products that strip the skin of water. This is why it is important to use a moisturizer regardless of skin condition. 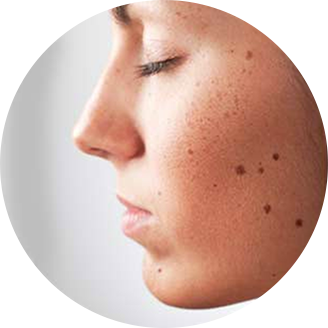 Hyperpigmentation is the darkening of the skin due to an increase of melanin. Known by many names; Brown spots, liver spots, lentigos, pigmentation, and blotchy brown fall under the same hyperpigmentation category. Possible causes of hyperpigmentation are hormones, inflammation, sun damage, scrapes, cuts, acne, certain diseases and other skin injuries. Primarily affecting the areas of the face, hands and chest, hyperpigmentation can happen anywhere in the body. Melanin is made by melanocytes in the lower layer of the epidermis and it’s responsible for the color of the eyes, skin and hair. As the aging process occurs, melanin is less regulated throughout the body causing focal or diffused hyperpigmentation. Patients with diseases such as Addison’s, Cushings, Nelson’s, and Celiac (to name a few) are known to develop hyperpigmentation. Cutting edge ingredients like mandelic acid, vitamin A, vitamin C, licorice, and sepiwhite MSH are just a few that Lelexo provides for the treatment of hyperpigmentation. There are approximately over 15 million people that suffer from a degree of rosacea in the United States. While there is no known cure to rosacea, there are ways to treat it. 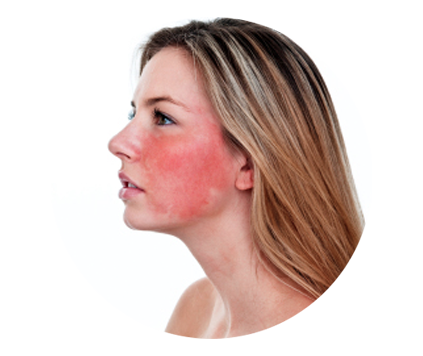 Rosacea is a common and chronic inflammatory disorder that affects the skin and eyes; characterizing symptoms include flushing, persistent redness and a dilation of capillaries (Telangiectasia). In some cases small red solid bumps or pus-filled pimples often develop. While this resembles acne, blackheads are not present and stinging or burning may occur. There are four subtypes of rosacea and many patients can experiences more than one at the same time. Lelexo provides a variety of high performance skin care products that interact well with rosacea. With green tea, peptides, pyruvic acid and vitamin A, these ingredients are designed to soothe and strengthen the skin. Sensitive skin is technically not a skin type but rather a symptom caused by other factors. Frequently reacting with flushing (redness), itchiness or inflammation when exposed to environmental and cosmetic factors; allergies, irritants in products, and the use of inadequate skin care products are examples of triggering factors. In addition, climate changes, sun exposure or pollution (free radicals) may worsen the reaction. 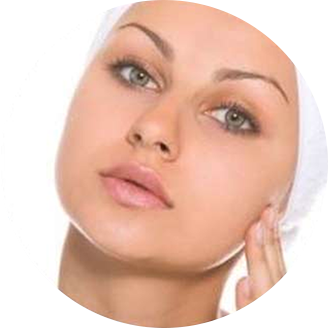 Sensitive skin has fine pores and tends to be thin. It is also disposed to broken capillaries. This condition can affect any skin type including oily, but mostly affects people prone to allergic conditions, such as asthma, hay fever, eczema and psoriasis. Keratosis Pilaris is a genetic prone skin condition known by many names, Like KP, Follicular keratosis, lichen pilaris or even chicken skin. This common skin condition affects approximately 40% of adults and 50% to 80% in all adolescents. KP is easily resembled by its goose bumps appearance but it’s characterized by small, rough bumps on the skin. Found in the areas of the arms (mainly the back of the arms), head, cheeks and legs (thighs); there are different types of KP, such as Keratosis pilaris rubra which is the red, inflamed bumps mainly found on the arms or legs. KP happens when the body produces too much keratin (a natural protein in the skin). The extra keratin becomes trap in the follicle causing hyperkeratinization, which is the congestion of dead skin cells that clog the follicle forming “a bump”. The management for KP may consist of keratolytic treatments of lactic acid, salicylic acid, vitamin A propionate and additional exfoliants to loosen and sloth off the excess keratin. The eye area is known to have the most delicate skin of the body. It is also the most vulnerable to wrinkling due to facial expressions and creasing zones. Although wrinkles in that area are inevitable, good skin care habits and products will optimize the results. In addition the eye is also prone to puffiness and dark under-eye circles. To reduce the appearance of aging skin around the eyes, it is important to use eye creams on a daily basis. Lifestyle changes consisting of good nutrition, exercise, sleep and avoidance of unhealthy habits like smoking will help from premature aging. Protection from the sun is also essential to maintain healthy skin. Invest in a good pair of sunglasses with UV-blocking lenses to avoid sun exposure and prevent further damage. Lelexo uses high performance ingredients that are designed to target the specific areas and conditions around the eye.